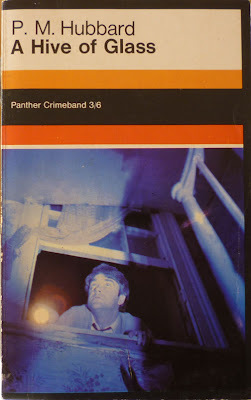 This week I'm blogging about British novelist P. M. Hubbard, whose strange, evocative suspense novels – almost all of which are out of print – draw on a very particular sense of place – chiefly an unnerving, oppressive and remote rural Britain. Yesterday I posted a brief overview of his oeuvre and a bibliography, and for the rest of the week I'll be focussing on books and stories from either end of his sixteen-year career – although not necessarily the books and stories a Hubbard fan might expect. Today it's the turn of his fifth novel (counting his two children's novels): A Hive of Glass. A Hive of Glass was first published in Britain by Michael Joseph in 1965 (1966 Panther paperback edition seen on the right there – unfortunately I wasn't able to find a first edition), when Hubbard was, I believe, fifty-four (he came to novel-writing quite late). 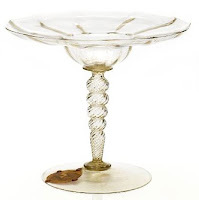 The narrator is Johnnie Slade, a collector of fine glass who gets wind of a Verzelini Tazza, a sixteenth-century glass dish standing on a central stem, crafted by the Venetian Giacomo Verzelini. This priceless piece is featured in an article by noted glass scholar Levinson in the latest issue of Old Glass, a quarterly periodical edited and financed by Peter Sarrett, but Sarrett is unable to furnish Slade with either the name of the owner of the tazza or its location. Desperate to discover more about it, Slade visits Levinson, only to find him dead of a heart attack. 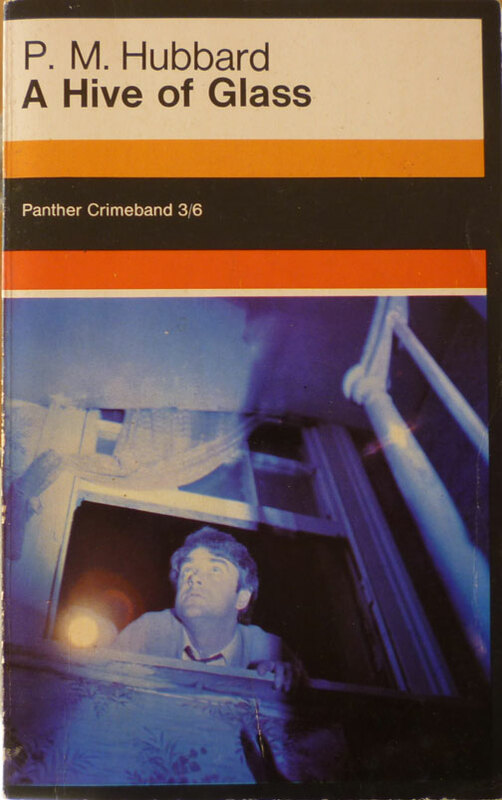 But there is one clue in Levinson's desk diary – a single word: "Dunstreet". The whole countryside was dark and green and crouched a bit... the trees filled all the valley bottoms as if they had been poured into them – as indeed, in embryo, they probably had – and the valleys ran together in a network always pointing southwards to the place where their combined streams met salt water almost between the oak roots. The air was so soft and wet you could squeeze it out. It smelt of dead wood and land-locked brine. The environmental aspects of Hubbard's novels have been much remarked upon, but it was another aspect of A Hive of Glass which particularly struck me, one which Book Glutton identified in his original comment drawing my attention to the author. This strand manifests itself right at the outset, when Johnnie visits an antique shop in the Midlands and spies an eighteenth-century glass at the back of a cabinet. Knowing what it's worth, and knowing the proprietor doesn't, he manages to buy the glass at a knock-down price; realising his mistake, the dealer relents, but sees something in Slade's eyes that causes him to back off. What he glimpses is the madness of the collector. This unhinged zeal is one I'm more than familiar with (as regular readers of this blog might have noticed). It's a compulsion to possess objects – glass, antiques, books, whatever – a need which clearly speaks to an absence elsewhere in one's life (although I hesitate to explore what exactly that might be). The collecting impulse is, for the most part, fairly benign – Johnnie's evident delight at his newly bought glass as he gingerly washes it in a nearby stream is a joyous moment. But it does have its dark side, and that unpleasant facet of collecting rears its head throughout the novel. The first instance comes in a Dunstreet auction room, where Johnnie pinpoints the dealers in the room and remarks upon the way they bid up pieces so that regular punters don't buy them for less than the market price. But the impulse becomes more personal as the novel progresses: Slade begins to suspect someone else is on the trail of the tazza, and in time events conspire to bring him to a place where it becomes unlikely he will be able to secure it for himself. It's at this point that Slade verbalizes the dark side of collecting: "So long as nobody else gets it." This is the collector's curse: the desire to own, but also the desire to ensure that no one else is able to own that which one desires. Here, then, we reach the crux of the novel: Johnnie's romantic entanglement with Claudia proves an agreeable distraction (as does a brief liaison with a friend's wife – Slade is a randy bugger), but it's only a diversion; the hunt for the elusive tazza is all. It's never far from Slade's mind, even when he maintains it is; his statement at the close of one chapter – "I had not given the tazza a thought since six" – only serves to make a lie of his professed disinterest. The glass is the thing, and the pursuit of it takes Slade to ever murkier climes, ever greater extremes, eventually leading to a dark denouement at the bottom of an old mineshaft. 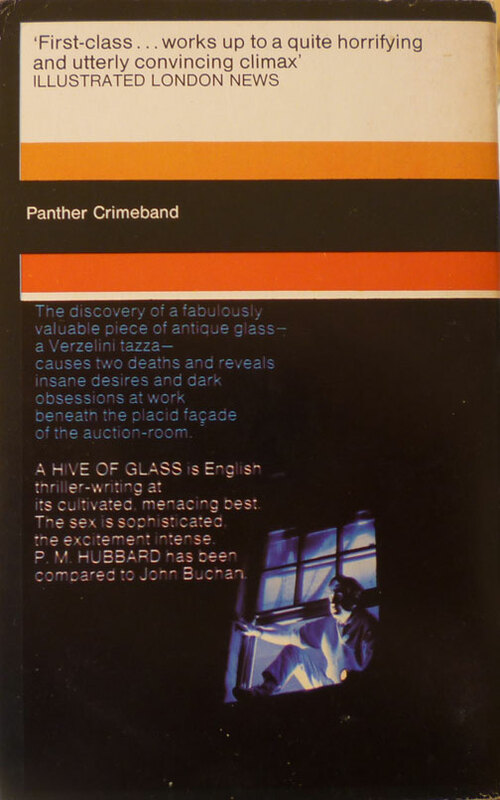 A Hive of Glass is a terrific book, perhaps Hubbard's first out-and-out classic (there's another recent and glowing review of it on the Pretty Sinister Books blog). But he was to write many more over the next fourteen years – and it's to his final novel that we turn next, a fine example of the hunter-and-hunted subgenre that weaves through British fiction: 1979's Kill Claudio. That is an excellent review - I thought you would go for this book. I had a very hard time finding a copy of A Hive of Glass and then I got one for free. I rarely see Hubbards in the wild (meaning used bookstores), except for paperbacks of High Tide. There is a remarkable place in Baltimore called The Book Thing (http://bookthing.org/) that gives away books. On my first trip there, the first thing I picked up was a second printing of the American edition of Hive of Glass, minus the dust jacket. It was an ex-library copy (from the Free Library of Atlantic City) and was in terrible shape. I had to patch it up with tape. I think the library sold it off for 25 cents. Someone going by the initials PB had the book and did not like it - PB wrote in pencil "a English soap opera with too much thinking." That it was so hard to find until I rescued it from a warehouse of castoffs made me prize this copy much more than most books I acquire. It's hard to find even online: there are currently only ten copies for sale on AbeBooks. Most of those are paperbacks, a couple of later hardback reprints, and no British first editions at all. Didja like the image of the tazza, by the way? 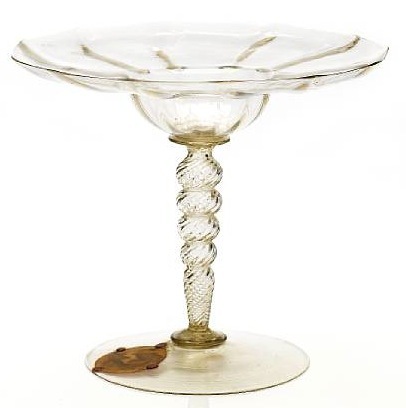 That's a genuine 16th (or thereabouts) century Venetian Tazza. That's a might fine tazza you have. I had to Google tazza when I read the book. Also - I had wondered if that was a real town or not - thanks for the answer. Unlike Book Glutton I manage to find Hubbard's books everywhere in Chicago. But I never find copies of the two I so desperately want: A Picture of Millie and High Tide. I have all his other books, most of which I found (all at once no less) for less than $3 each at a huge book sale held in the suburbs out here in the US Midwest. US editions, though, so not very valuable. I did manage to snag a UK first edition with DJ of The Holm Oaks. So far I think that one is the prize in my Hubbard collection. Thanks, Nick, for the plug (and to Book Glutton for spotting the piece in the first place) and stopping by my blog. I enjoyed your take on the book just as much as I enjoyed Hubbard's novel. I'll be stopping by regularly from now on. Yeah, Sharon's SF remark has me baffled too. Maybe I overplayed the eerie environment bit. Sharon, come back! We're perplexed! I have a glass cake stand that is so thick and heavy that you'd sooner kill someone with it than have someone kill for it. So when Slade was pouring over pictures of the tazza in Old Glass, I felt compelled to replace the picture in my head with one of a pretty tazza. I find myself Googling things I read about more and more. Am I alone in this? No, I don't think so. I google sometimes too when I come across a reference I'm intrigued by in a novel. And judging by the traffic source google phrases I see for this blog, plenty of other people do that too. I think I should check out this book, it sounds my sort of thing! It might well be! I'll have to lend you my copy.